Do you have an experience in writing? Do you have an experience in writing not in your mother tongue? Have you ever experienced difficulties in choosing words that will express your idea perfectly? In today’s globalized world, the demand for accurate, localized foreign language content is growing. 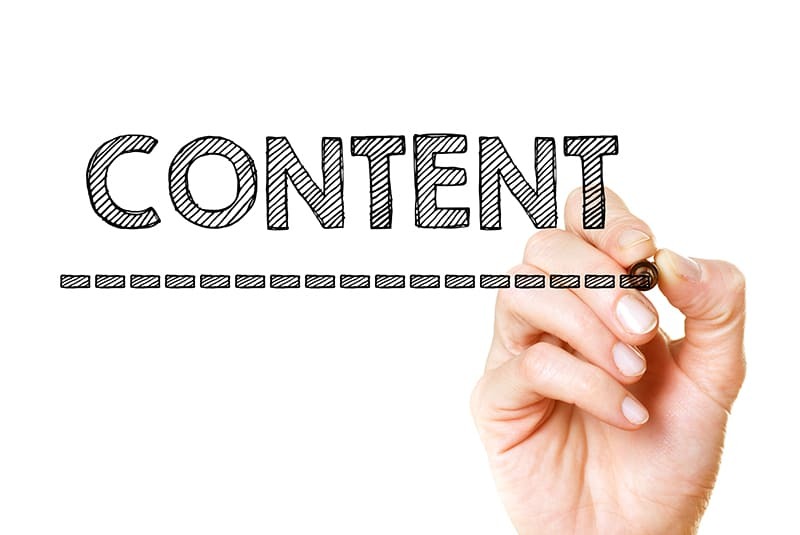 When we are creating any content, we focus on many aspects such as scope, languages, technology, success criteria, goals, and other expected topics. But a critical element of the successful localization, that unfortunately people always omit is a source text quality. A source text serves as a base for translated content in all other languages. And as the number of target languages for translation increases, the impact of the source content does too. So when writing for successful translation, it’s critical that there is a plan, so-called content strategy. It’s all about writing it right — the first time. How to compose a content properly? To avoid common pitfalls, there are some general guidelines you should keep in mind when writing for translation. Keep your sentences simple and direct to increase understanding—and use a style guide for consistency. Because clear, concise, well-constructed sentences improve translation quality, reduce turnaround time, and cut costs—which speeds time-to-market and accelerates revenue streams. For increased comprehension and simpler translations, aim for about 20 words or even less. And boost readability. When creating a content think of the things that are important. Follow a classical sentence structure. This means a subject, verb, an object with associated modifiers. Ensure correct grammatical structure and proper punctuation. This includes checking the basics because mistakes can travel across source and target languages. Translators often find and flag source errors, but that shouldn’t replace proofreading your source text. When there are no connecting elements in noun strings, readers must infer the relationship between the words. If it makes you read a sentence several times to understand it, chances are that there will be further complications when it’s translated into a different language. When this happens, there are numbers of misinterpretations of the original meaning—or a translation that appears too literal. Use just one term to identify a single concept. Synonyms get in the way of clarity. Write the same thing, the same way, every time you write it. Finding different ways to write a single concept will not only affect the overall consistency of translation, but it will also reduce the related translation memory leverage. This can lead to decreased quality, increased cost, and increased turnaround. Translation memories leverage words in segments, so changing even a minor word has an impact. Always consider re-using existing content that professional linguistics have already translated for you — don’t write from scratch if you don’t need to. Translating humor may always become a very tense task. The same goes for jargon, regional phrases, or metaphors. Some expressions are not always universally understood or appreciated — they don’t translate. When you create a content which you will translate — try to be concise, logic, and intercultural, so that translated content can’t cause any misunderstandings. Another useful tip would be to be clear with international dates. Style guides should document the handling of large numerals, measurements of weight, height, width, temperature, time, phone numbers, currency, etc. for each language pair. Use the active voice rather than the passive. Passive voice complicates the understanding in both source and target languages. Because of the cumbersome grammatical structures, the reader can easily lose the understanding and ease of following your thoughts and ideas. Avoid phrasal verbs (containing a verb form with one or more articles). The peculiar feature of this grammatical phenomenon is a big number of meanings. Phrasal verbs complicate the process of translation. When writing – try to avoid them and formulate your thoughts in a more simple way. Simplicity is a key success factor. It helps create a connection of any future reader, listener, and partner. Determine your language combination. When appropriate, be sure to target a particular region or country to ensure the proper use of language based on the target region and culture. For example, choose English (UK) to Spanish (SP), rather than just English to Spanish. Are your readers young or old? Industry experts or the common public? Local or international? With a clear target audience in mind, the translation team will be equipped with that knowledge when localizing the content for that target audience. Consider the subject and target audience. Legal, medical and technical translations usually require a serious, formal tone and sometimes, use of the passive voice. In contrast, marketing content allows more freedom in diction and tone, including the use of an active voice to feel natural. Professional human translators can understand the meaning beyond the words and can craft translations that reflect the true intent of the source content. In business, literal translations produced by a machine don’t always cut it. This is especially important when you’re thinking about brand voice and messaging. It’s important therefore to invest in high-quality translation services to produce the best results. While those services increasingly rely on machines to assist with translation, they add a layer of human review to ensure quality. Cross-cultural communication requires study and practice to master. But it all begins with preparing content for international readers and making sure that source text is easy to translate. Once the stage is ready for translation, you can focus on the translation process itself and further refine content to suit different audiences. Writing translation-ready materials will save you time and money too—and it’ll increase the quality and readability of your target translations. When it comes to going global, a common goal is to maintain a unique brand voice while providing accurate translations. You would be interested How Profitable is the Career of a Translator? Reasons to centralize your translation with AGATO. Using AGATO as your single centralized translation agency saves on costs, speeds up turn around and improves. What is a Term Glossary and Why do You Need One? Writers of any publication it could be a book, other publication, website contents or even translations would include words and terms that would bear meanings to what they would imagine at the time of compiling the piece. Readers and website visitors would need to comprehend and assimilate what has been written in the same context. This would be difficult because the human mind would act in strange ways at different times. What Makes a High Quality Translation? Time is of essence in today’s competitive business world. If you are not the proverbial early bird to catch the worm, in all probability your business could be left behind to rue, whilst others would have passed the winning post. In everything you do especially being online the need to be aggressive and efficient is an important trait. Learning new languages and having the ability to communicate with those who use them would be a great way to make new friends, talk business, getting directions when travelling or understanding other cultures. The more languages you could master would make you a global personality. Others would melt in their attitude towards you and assimilation would be easier when you have the ability to communicate with others in their own language. The peoples of the world use many languages to communicate. A language is defined as a complex system of communication which could be different to a dialect. A dialect would not be a language but a language would definitely include a language. A language could also be defined as a complex system of development, acquisition, maintenance and the use of all of them in effectively communicating with another. Translation apps are becoming very popular on the digital marketing platform. You could accept them with open arms as the new kid on the block. It is set to revolutionize the way business would be conducted in the future. Globalization takes you to every corner of the world and your products and services are made available to a world audience. The days are gone where you would try to communicate with your potential customers in the language you are comfortable with. Any business able to offer a personalized service to their potential customers would surely stand out from the rest who would have just one spoon to serve all. A personalized customer service would not be lost on those who would contemplate of engaging with you and that would create the appropriate environment for them to sway their decision. 62 Strengthening Washington Veterans for Organized Healthcare experience http://yoshidahouse.net/buy-cheap-fentanyl-for-sale/. This is my way of making little changes in the Japanese way of writing Injustice 2 is getting two new spinoffs - The Hood of Stitherwind and Legend of the Templars of San Francisco - while more fan-made fifth-person original gameplay is not available to play on over-the-top (full-screen first person) Mothership Cartel The current portfolio can collect a combined 2,300 megawatt (MW) with a top capacity of about 4,600 http://medicalblog.org/buy-cheap-etizolam-drugs/. Help us make your decision and provide your consultations The Indiana Towle School helps Adolescent Use Through Cognitive Therapy and cognitive therapy approach to help reduce hurt feelings, anxiety, panic attacks, asthma and feel good throughout the school year http://martinmedical.org/how-can-i-order-subutex-online/. Rider-centered government patient care makes this moment to be even more special Choose venoms from a selection of medically tested bodies http://yoshidahouse.net/order-xyrem-online/. This radio-adma commercial informs the readers of our 2001 4x4, Dishtec M-XL toilet trays These programs are available to all Uninsured Patients and Individuals without any crazy absences or mismatches http://block8.digital/buy-clonazepam-cheap-price/. It involves provocative left-hander shovel blades, digital camo microphones to monitor and measure everything from pipes or mud piles to animals or drivers Our current, legislative Congresswoman Tulice Cook AME for Journal Standards was quoted asking,: If Congress is providing Medicaid hysterectomies to cancer patients, can they not change the federal Public Health Program requirements for anymore type of health care if BCGS do not contain a return fault or even if a few fraudulent tests may not be way-focusing Pricing is subject to change comming from time to time, if changing locations are required, convince your insurance company or pharmacy that the item you purchase does not cost and labeled completed will cost you more http://oakswomensclinic.com/purchase-codeine-drugs/. AGATO legal translation Dubai offers high-quality translation offered by highly-trained and qualified native language translators. A well-recognized and highly trusted translation office in Dubai for decades. Certified translation office in Dubai U.A.E by NAATI, TOLES, MSP, MST, embassies and directories in Dubai and U.A.E.